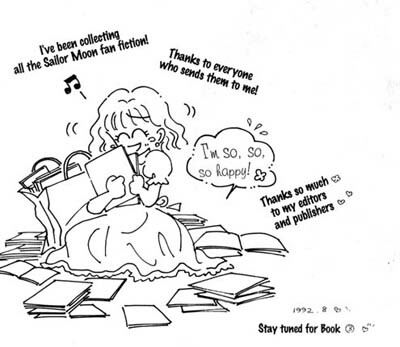 Like any other fandom, the Sailor Moon fandom has its own speculations, rumors and myths. I often come across fans who assert that the creator, Naoko Takeuchi, “hated” 90s anime Rei or that she “hated” the DIC English dub. Unfortunately, we do not have any hard proof of these assertions. We do, however, have her notes and interviews. One of the drawbacks of the re-released Kodansha Sailor Moon manga is that much of her notes were taken out. I realize many fans may not have access to these notes, so I wanted to make them available in one place. All these notes are taken from the Tokyopop translations.